Vetro Tooling would be delighted to see you at the Natural Stone Show exhibition at the Excel Centre London 30th April - 2nd May on our stand D36. Vetro Tooling are pleased to announce we now sell the Gison Air Polishers, with or without safety lever. Over 95% K-Line Tools in Stock for next day delivery. INTRODUCING OUR NEWEST RANGE OF SMALL BLADES FOR THE STONE INDUSTRY. 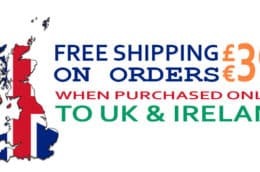 FREE SHIPPING TO YOUR BASKET! Browse the new industry standard of High Shine CNC Polish Wheels, polished to perfection from your CNC. Glass Tooling Everything in the glass trade for glass tooling, processing and consumables. Stone Tooling Everything in the stone trade for stone tooling, processing and consumables. Vetro Tooling have been supplying the Glass & Stone processing industries for over a decade. Our goal remains the same as ever to offer our customers an excellent quality product on the shelf for a superb price. Workshop Our workshop facilities are unrivalled in the UK for re-dressing/ regrinding and alterations of your diamond wheels. Looking For Glass Tooling Products? Looking For Stone Tooling Products?